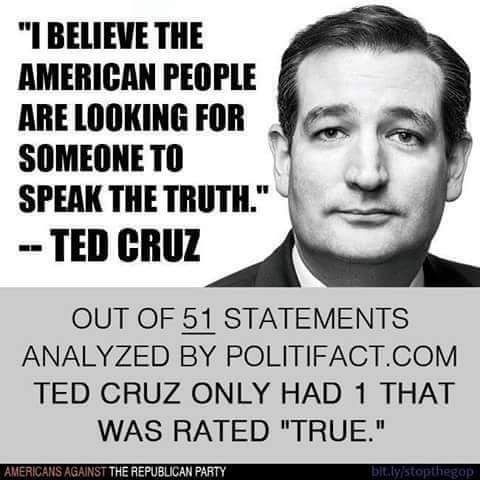 Ted Cruz may be one of the most dangerous persons to ever run for president. He believes he is an ‘anointed king’ to bring about the “End of Times Transfer of Wealth”. 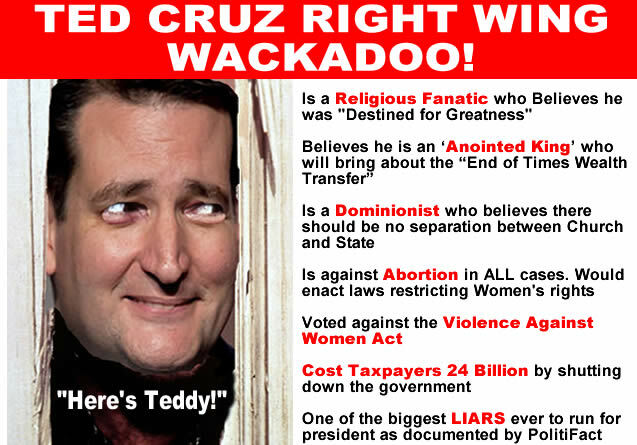 Rafael Cruz, Ted’s Dad brainwashed his son into believing that God Destined Him For Greatness. Ted Cruz claims to credits his Iowa presidential primary victory to divine intervention. Rafael Cruz described his son’s political campaign as a direct fulfillment of biblical prophecy. Ted Cruz therefore believes he was destined to be President and believes he is entitled to be president because it’s the will of God that he becomes President. Like ISIS, he believes in no separation between Church and State. Ted Cruz is a wolf in sheep’s clothing. He’s cunning and very careful about picking & choosing his words. He doesn’t speak like a normal person… he speaks in sound byte phrases. Have you ever noticed Ted Cruz’s strange quirk when he talks and people applauds? Electing this lunatic would be a catastrophic mistake.